A band who had a huge hit before they even existed, Plastic Penny released two albums and a handful of singles in their brief lifespan. 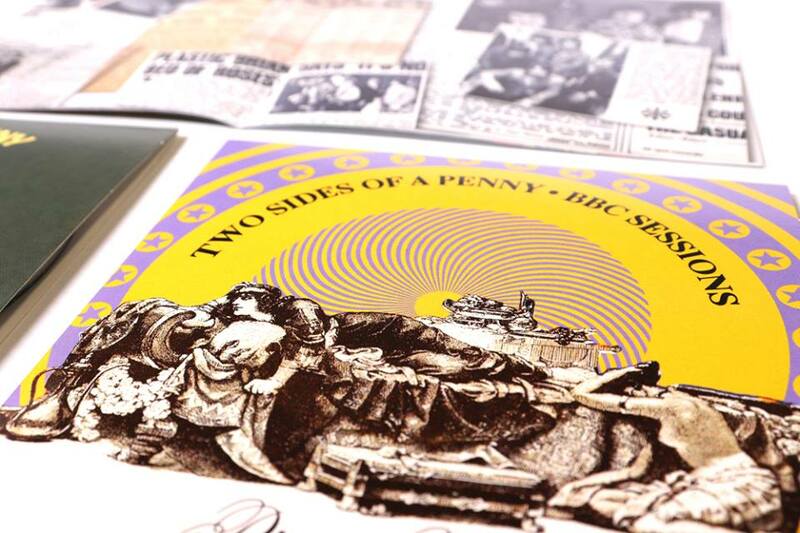 Cherry Red Records, UK, has compiled the band’s complete output, presenting their 1968 debut album, ‘Two Sides Of A Penny’ in both its mono and stereo versions and their stereo only 1969 swang song LP ‘Currency’ along with all the group’s single sides from 1967-1969, supplemented by BBC sessions from 1968 and 1969 in one comprehensive collection, the three disc box set ‘Everything I Am: The Complete Plastic Penny’ taking its name from the band’s huge #6 UK hit single, released in 1967 with vocalist Brian Keith and session musicians on the Page One label, which necessitated the formation of a band to tour and promote the single’s success, resulting in a solid body of work celebrated in the collection reviewed here. Page One Records head Larry Page was impressed with the UK b-side of Alex Chilton and The Box Tops’ second single ‘Neon Rainbow’ so much so, that he arranged for vocalist Brian Keith to record the Dan Penn/Spooner Oldham penned ‘Everything I Am’ with studio players, complete with a striking string arrangement by Page One music director Colin Fletcher. The track, paired with ‘No Pleasure Without Pain My Love’ written by Keith and keyboardist/vocalist Paul Raymond, both members of Chris Lamb and the Universals, was released by Page One in the name of Plastic Penny on December 1, 1967, and quickly climbed the charts, topping out at #6, spending ten weeks in the listings. With a hit on his hands Page needed a band to tour and promote the release. The label head recruited two members of the Universals, Raymond and bassist Tony Murray, but decided the group’s drummer did not look the part and that a guitar player was required as well, despite the fact that there was no guitar on ‘Everything I Am.’ Keith picked up a guitarist named Nick Grabham (then billed as Mike Graham), from Newcastle, and asked him if he knew any good drummers. The guitarist recommended a local boy named Nigel Olsson. Keith told Grabham and Olsson that the group had a TV appearance booked, so he told the pair to come to London pronto, having never heard Olsson play. The band immediately embarked on a relentless schedule and made their television debut on Jonathan King’s Good Evening show on December 30, 1967, just four days after the band’s first gig, followed by a session for Radio One’s Top Gear that was recorded on January 10, 1968, their set including the hit single as well as two band originals, the Raymond/Murray penned ‘Turning Night Time Into Day’ which was never released on vinyl, and the Keith/Raymond number ‘Take Me Back.’ which would appear on the band’s debut LP ‘Two Sides Of A Penny’. All three of the tunes were ballads with strings in the same vein as the hit single. Another BBC session, this one for David Symonds was recorded on January 22nd, and included another take on the hit single, a run through the single’s b-side which featured gentle guitar work by Grabham, and another song that would be included on the debut album, the Keith/Raymond composition ‘It’s A Good Thing’ which features the band in full rock mode with Grabham’s lead guitar and fiery solo to the fore. The success of ‘Everything I Am’ called for a follow up. Somehow Plastic Penny was able to record a stand alone second single and their debut album, despite their incredibly busy touring schedule. The band’s next single, released in March, 1968, paired the a-side ‘Nobody Knows It’ written by Bill Martin and Phil Coulter who had supplied Sandy Shaw with her hit ‘Puppet On A String’ with the Keith/Raymond original ‘Happy Just To Be With You.’ The top side was an organ driven mid-tempo rocker with balladish vocals but no strings, while the flip side was a gentle number featuring Raymond’s Procol Harum influenced organ and Grabham’s guitar. The single failed to make an impression on the charts but did garner airplay and the a-side was featured on a March 19, 1968 BBC performance which also included two tunes included on the band’s April, 1968 LP ‘Two Sides Of A Penny’ a reprise of the Kelly/Raymond ‘It’s A Good Thing’ spotlighting Mick Grabham’s lead guitar and solo, and the Raymond/Murray ballad ‘So Much Older Now’ much more reminiscent of the band’s early singles. Plastic Penny’s April, 1968 debut album ‘Two Sides Of A Penny’ was a mix of their early ballads and the heavier, more psychedelic sound the band evolved into. Disc one of the set opens with the eleven tracks making up the LP’s mono release, beginning with the album version of the group’s hit single. ‘Wake Me Up’ a Keith/Raymond composition is an organ driven pop psych number with gorgeous gentle vocals. The group’s cover of The Association hit ‘Never My Love’ again is organ driven with beautiful vocals. Raymond and Murray’s ‘Genevieve’ likewise features Raymond’s organ and a lovely melody. The song would be revisited on the band’s second album in a much longer, heavier take. ‘No Pleasure Without Pain My Love’ the b-side of the band’s hit single is a ballad featuring Keith’s vocals and strings. ‘So Much Older Now’ is pop psych, with an organ intro and delicate lead and vocal harmonies. ‘Mrs. Grundy’ another Keith/Raymond song is a snappy, uptempo track that opens gently with mellow piano and organ dominating, but midway through Grabham’s guitar enters and takes control as things get heavy, highlighted by Grabham’s smoking solo. ‘Take Me Back’ is another vocally dominated track written by Keith and Raymond. Grabham’s wah wah guitar dominates ‘I Want You’ a cover of Danish rockers The Lions’ 1966 Rolling Stones inspired rocker, not as s often claimed a reworking of the song by the same title made popular by The Troggs. Nigel Olsson’s mid-tune drum solo pushes the tempo before Grabham’s wah wah returns and drives the song home. ‘It’s A Good Thing’ is a rocker straight on from Grabham’s intro. His guitar remains to the fore with his tasty lead line joined by Raymond’s organ. Grabham adds an extended solo hinting at things to come in Plastic Penny’s future recordings. ‘Two Sides Of A Penny’ closes with a most interesting cover of The Beatles’ ‘Strawberry Fields Forever’ an excellent choice with a fine organ intro by Raymond, Murray’s bass booming and Olsson’s drums ringing. Grabham’s guitar is nicely restrained, even his impressive solo. The group quotes another Beatles tune ‘Hello Goodbye’ before fading and bringing the album to an end. Disc one adds both sides of the band’s two 1968 singles, as well as the Spanish versions of the two a-sides as bonus tracks, making a total of seventeen tracks and a total run time of forty-nine minutes. 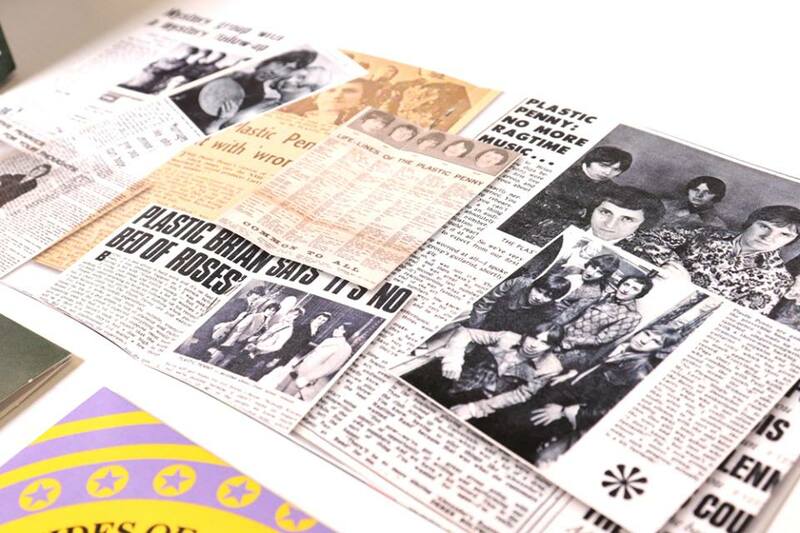 Disc two of ‘Everything I Am: The Complete Plastic Penny’ presents the debut LP’s in their stereo mixes, adding a total of fourteen BBC recordings as bonus tracks. Included are the three tracks from the January 10, 1968 BBC Top Gear show, followed by the three from the previously mentioned January 22 and March 19 David Symonds’ show.Next up are the three tracks recorded for the July 22, 1968 David Symonds show. First up, is the Raymond/Murray ‘Your Way To Tell Me To Go’ a heavy rocker with Grabham’s guitar and Murray’s bass leading the way. Grabham especially shines contributing two incendiary solos to the tune which would become the opening track to the band’s second album ‘Currency.’ Keith and Raymond’s ‘The Shelter Of Your Arms’ is a gorgeous ballad dominated by organ and vocals that was never dedicated to vinyl by Plastic Penny, despite its beautiful melody. The band’s performance closed with Raymond and Murray’s ‘Give Me Money’ a snappy pop rocker that was included on ‘Currency.’ Disc two closes with two songs from a February 17, 1969 BBC session, the band then a quartet with vocalist Keith exiting in May, 1968 for a solo career and Raymond assuming lead vocal duties, for the Dave Cash Show. 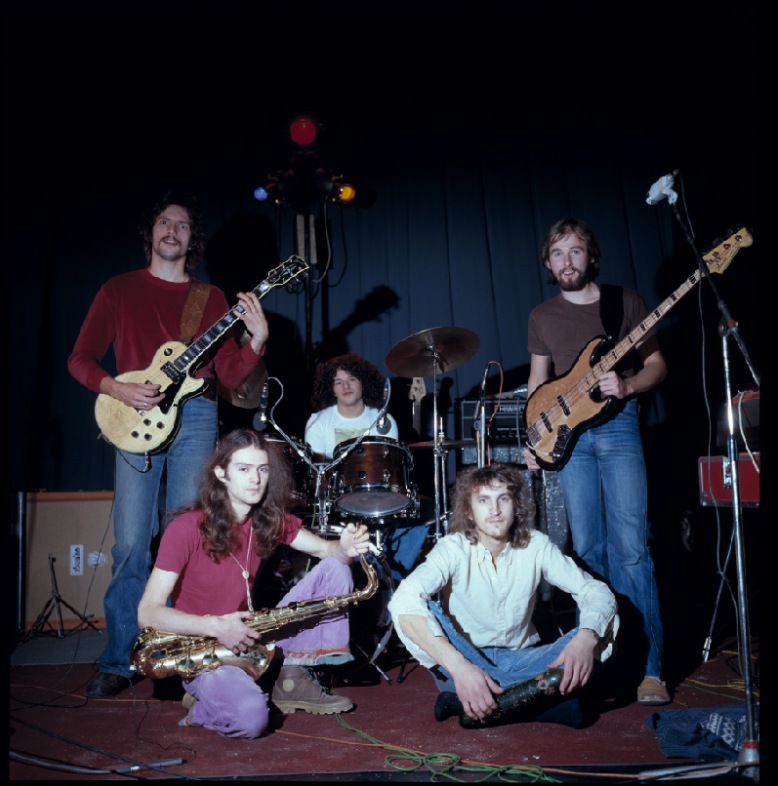 The band is at its heaviest, rocking best, delivering a Cream influenced four minute take on Howlin’ Wolf’s classic ‘Killing Floor’ which features Grabham’s blazing guitar supplemented by Raymond’s organ. Grabham’s solo is especially impressive and shows what Plastic Penny was capable of when they decided to turn the heat up. The band’s other performance was a return to their take on ‘Strawberry Fields Forever’ with Grabham’s guitar, Murray’s bass and Raymond’s organ all shining, while Olsson keeps perfect time on drums and Raymond’s vocals fitting perfectly. The band’s heavy groove leads up to Grabham’s scorching solo and Raymond’s swirling organ playing the song out. This performance is an outstanding documentation of Plastic Penny’s ability to rock with the best and is a perfect reflection of the band’s second and final LP ‘Currency’ which also saw release in February, 1969. Disc three begins with the nine tracks contained on ‘Currency.’ the band’s swan song album recorded by Raymond, Grabham, Murray and Olsson, Brian Keith having gone solo in May, 1968, and Raymond, as previously mentioned, taking over lead vocal duties. The LP opener is Paul Raymond and Tony Murray’s ‘Your Way To Tell Me To Go’ is a rocker with Murray and Olsson driving the beat, Mick Grabham contributing not one, but two incredible solos and Raymond delivering luscious vocals. The song also became the album’s first single. Leiber and Stoller’s ‘Hound Dog’ is given a Vanilla Fudge treatment, slowed down and rocked up with Grabham’s guitar again front and center The second single taken from the album, ‘Hound Dog’ sadly fared no better than its predecessor. The album’s title track, credited to all four members, is a monster instrumental. The tune has a prog rock feel, coming off like the best that bands like ELP and Yes would have to offer, with a mid-song tempo change giving way to a massive solo by Grabham as the track races to the finish. The tune was released as the b-side of ‘Hound Dog.’ A real change of pace, the band’s cover of The Band’s ‘Caledonian Mission’ is much lighter, its acoustic guitar, piano and organ woven with vocal harmonies in a most pleasant manner. An interesting seven and a half minute cover of Jimmy Webb’s ‘Macarthur Park’ opens with a relaxed feel, thanks in large part to Raymond’s gentle vocals. The pace quickens with a mid-song organ interlude, giving way to Grabham’s guitar, which remains restrained, and along with Raymond’s organ takes the song to its close. An interesting cover of Elton John’s ‘Turn To Me’ is a rocker with a Beatlesque vibe mixed with Procol Harum influenced keyboards and vocals. Raymond and Murray’s ‘Baby You’re Not To Blame’ has a funky bass intro before settling into a pleasant groove thanks largely to Raymond’s keys. Grabham’s subtle lead line gives way to a soaring solo outro. The track appeared as the b-side of ‘Your Way To Tell Me To Go.’ Raymond and Murray’s ‘Give Me Money’ shows the influence of Roy Wood and The Move with its ‘I Can Hear The Grass Grow’ feel. Gorgeous vocal harmonies are present throughout, with Grabham’s mod influenced solo driving the song to its close. The band’s magnum opus and album closer is the eight minute plus instrumental ‘Sour Suite.’ The song opens with Raymond’s keyboards which are joined by Grabham’s driving lead guitar line giving the tune its Robin Trower era Procol Harum sound. Another wonderful instrumental, the track features Murray and Olsson holding the bottom end locked in tightly while Raymond and Grabham offer up jaw dropping solos. The tune is going full tilt when Olsson serves up a drum solo five minutes in. At the seven minute mark Raymond and Grabham return to play the song and album out with a fury. Without question, Plastic Penny proved with ‘Currency’ that they were a very confident, competent rock outfit, serving up prog style rock just as the genre was coming into vogue. Disc three is rounded out by both sides of the two singles plucked from ‘Currency’ as well as a demo of the Gary Bonner penned Three Dog Night hit ‘Celebrate’ recorded under the title ‘Celebrity Ball’ and containing some very tasty guitar by Grabham. The final two tracks are the two sides of Plastic Penny’s final, July, 1969 single, recorded after ‘Currency.’ ‘She Does’ is a Raymond/Murray heavy rocker which once again puts Grabham in the spotlight as his guitar roars throughout. The single’s b-side is a re-recorded version of Raymond/Murray’s ‘Genevieve’ stretched out to nearly double the run time of the version found on ‘Two Sides Of A Penny’ its rolling piano and /acoustic guitar backing Raymond’s gorgeous vocals with Grabham’s electric guitar overdubbed. The tune features a delicate piano interlude by Raymond and has a great hook. It would’ve been a great choice as an a-side, but the sad reality was that ‘She Does’ failed to click and Plastic Penny had reached the end of the road. With the promise shown by ‘Currency’ one can only wonder where the band would have gone from there Sadly, that was not to be the case as nothing after their debut single sold in any numbers and the band was left without a recording contract, Olsson and Murray joining Elton John’s band, the drummer remaining a member for many years while the bassist would last only one album. Grabham would go on to the country rock outfit Cochise, with pedal steel player BJ. Cole, before joining Procol Harum, while Paul Raymond left for a somewhat successful solo career. 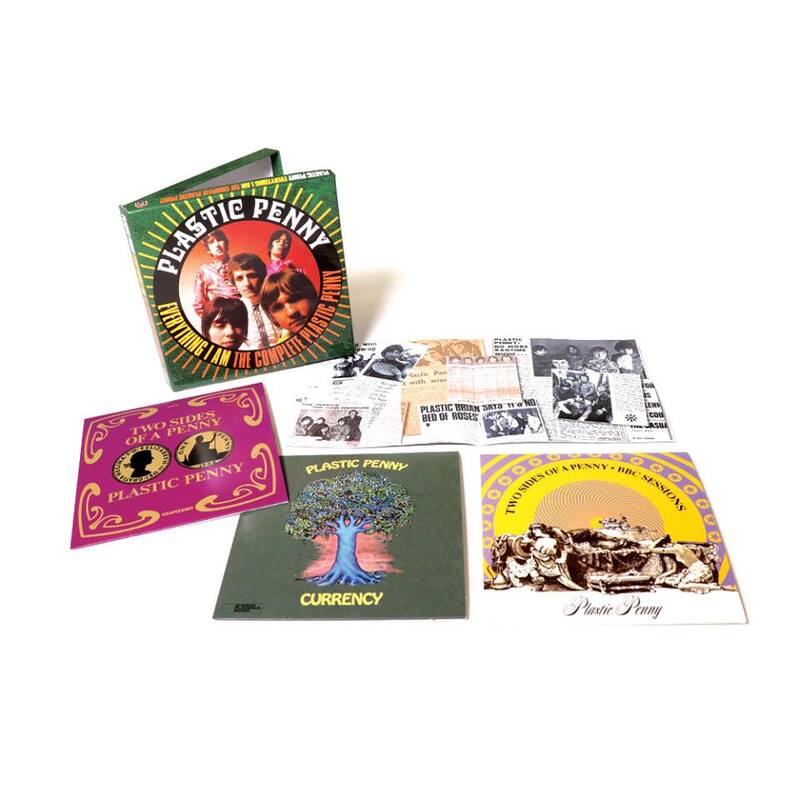 ‘Everything I Am: The Complete Plastic Penny’ comes in a clamshell box with each of its three discs housed in mini-LP sleeves. The set is accompanied by a full color 28 page booklet, illustrated throughout by photos of the band, LP and 45 artwork and other band memorabilia as well as an informative essay by David Wells. With a total of fifty eight tracks and a run time of nearly three hours, this box set is unquestionably the final word on Plastic Penny and will be of interest to fans of 1960’s prog and psych rock in particular, and fans of the music of the period overall and comes most highly recommended.